The 1860 coffee table was designed by Lydia Brodde for Thonet. 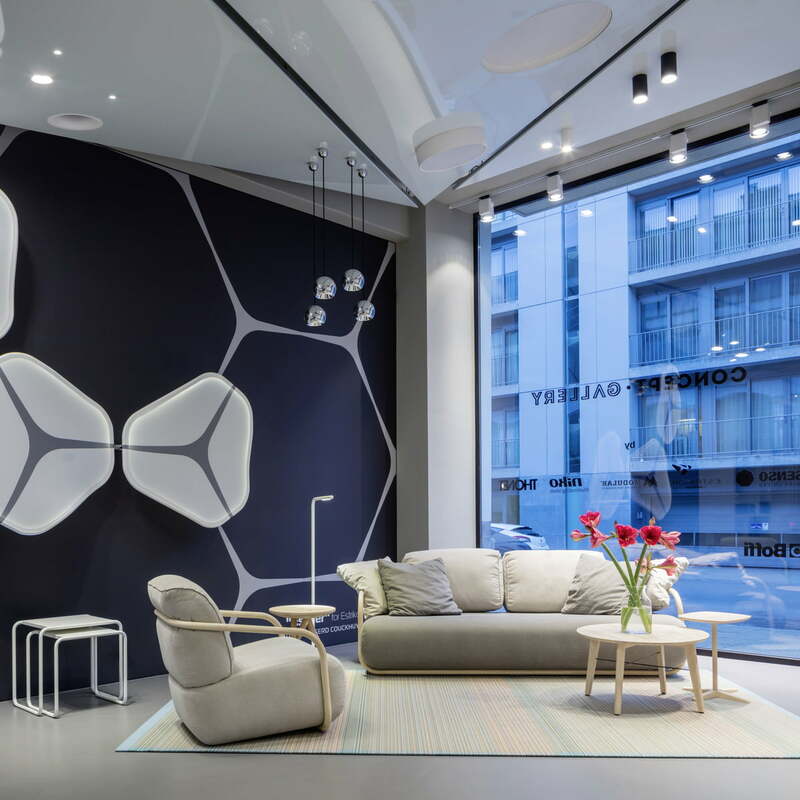 The design engages the geometric shape of the triangle in its feet and thus creates the formal connection to the product family 860. The round tabletop provides sufficient space for books, vases and other accessories. 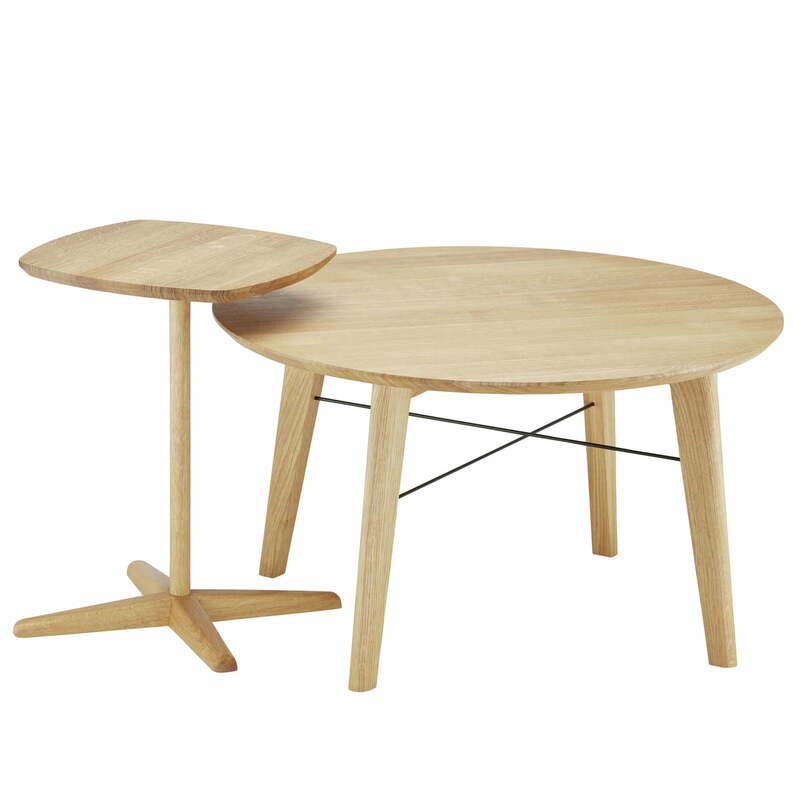 The four-legged frame and the circular table top are made out of solid oak, ash or walnut wood. The black steel bars give the table an industrial touch and make it look sturdy and delicate at the same time. Combined with the 1861 side table, the 1860 coffee table creates a harmonious ensemble perfect for the home as well as for lobbies. 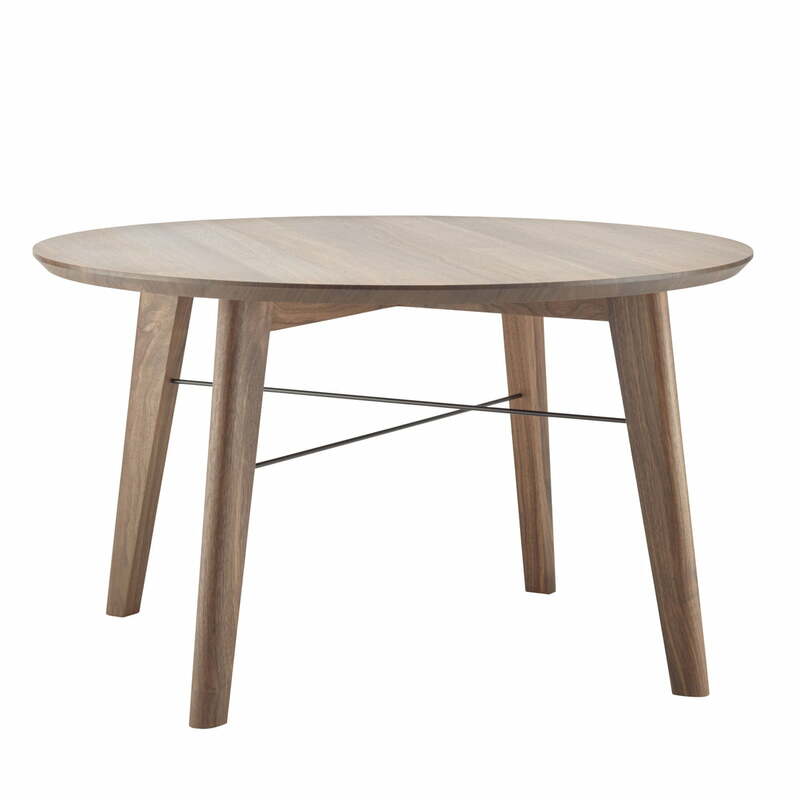 Isolated product image of the 1860 side table by Thonet in oiled ash. 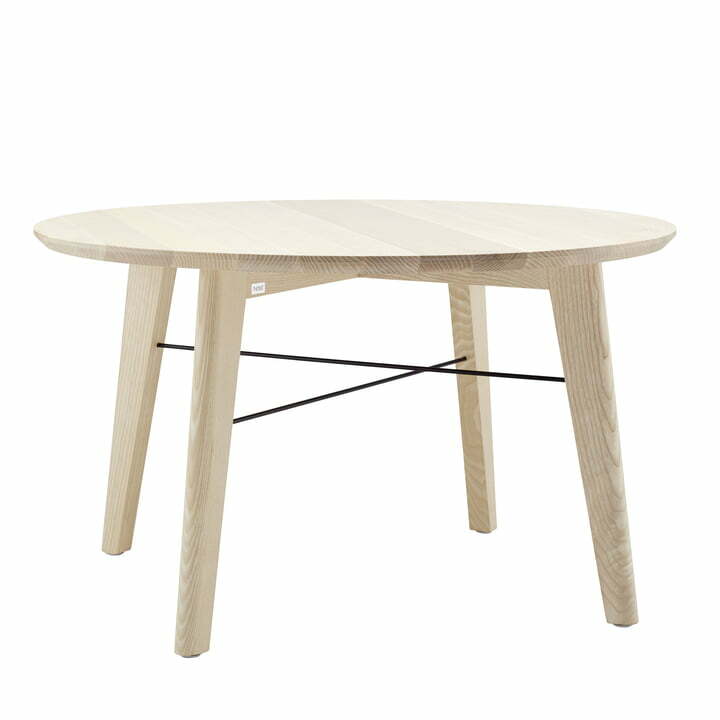 The large coffee table was designed by designer Lydia Brodde for the manufacturer Thonet. The 1861 side table is beautifully combined with the 1860 coffee table. Together, the tables form a harmonious overall impression that can be easily combined with other products from the Thonet collection. The 1860 side table is beautifully combined with the 1861 coffee table. Together, the tables form a harmonious overall impression that can be easily combined with other products from the Thonet collection. Lifestyle product image of the 1860 coffee table and the 1861 side table by Thonet. 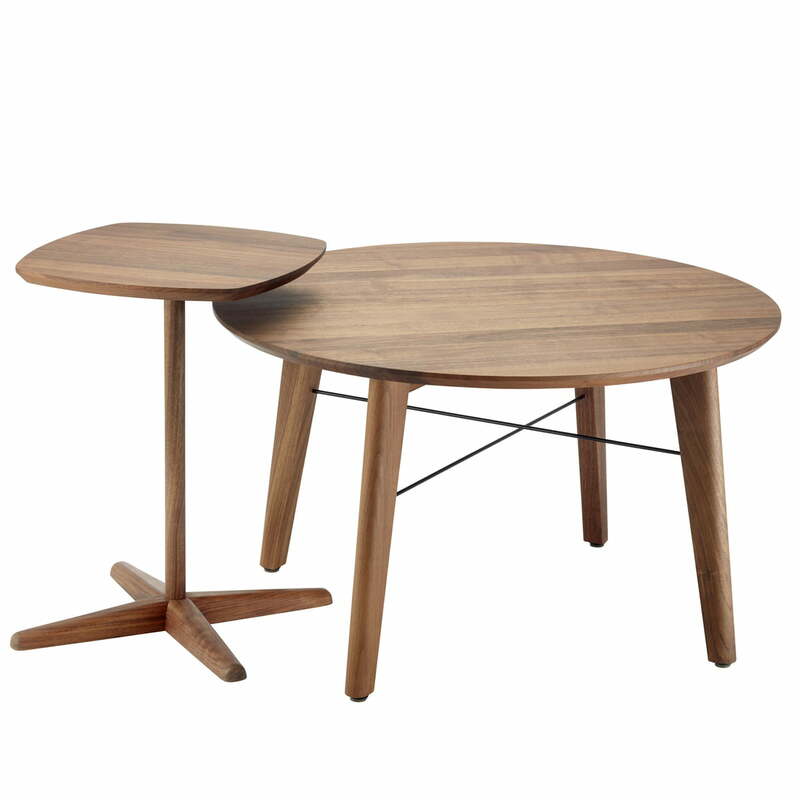 The round shapes of the tables fit seamlessly into any room situation. 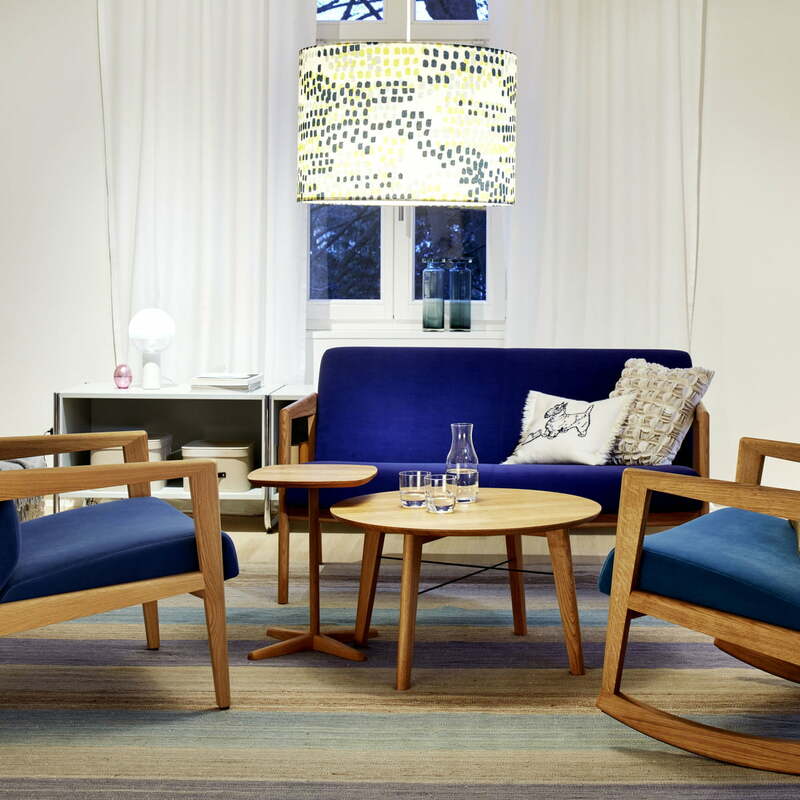 Lifestyle product image of the 1860 coffee table and the 1861 side table by Thonet. Coffee cup, reading glasses, magazines, newspapers and flower vases all find a place on the tables. 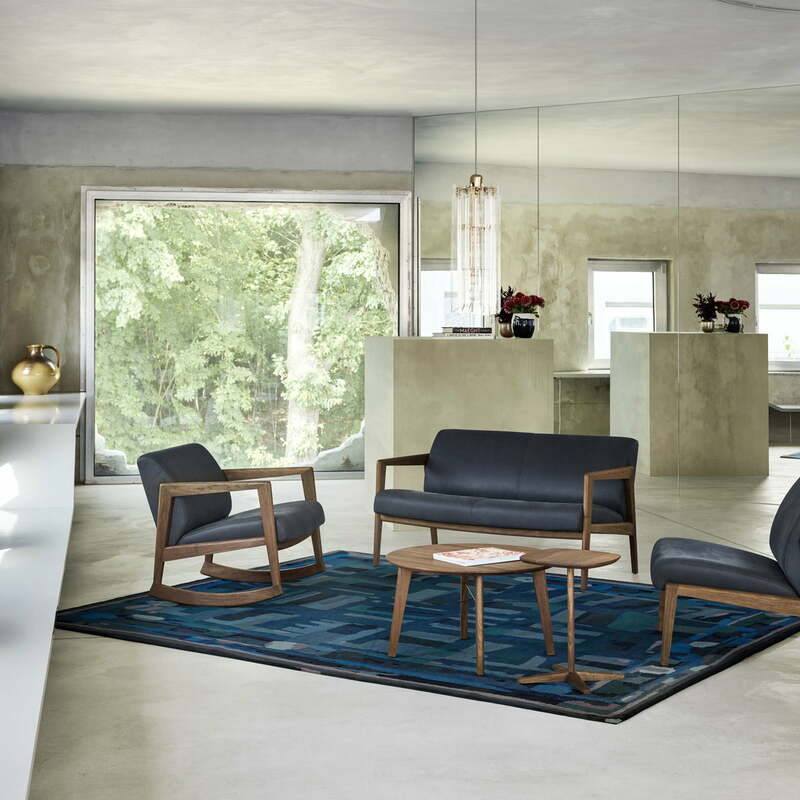 Lifestyle product image: The classic B 9 nesting tables, the S 1860 coffee table, the 1861 side table and the 1025 tables by Thonet are ideal for modern living rooms. 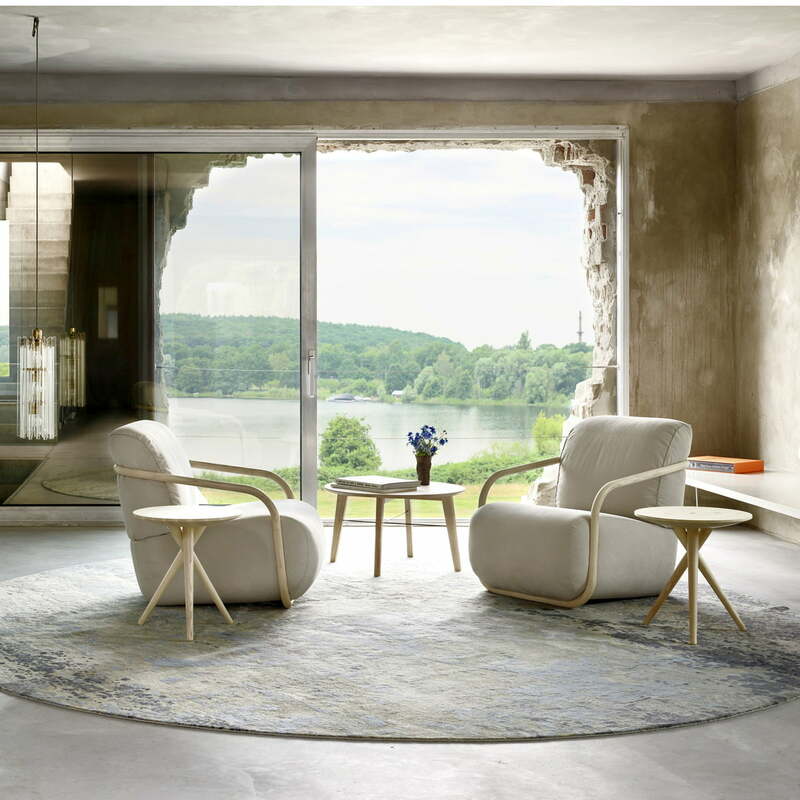 Lifestyle product image of the 1025 and S 1860 side tables by Thonet. The two wooden tables complement each other perfectly in shape and appearance, and look beautiful in the living room.